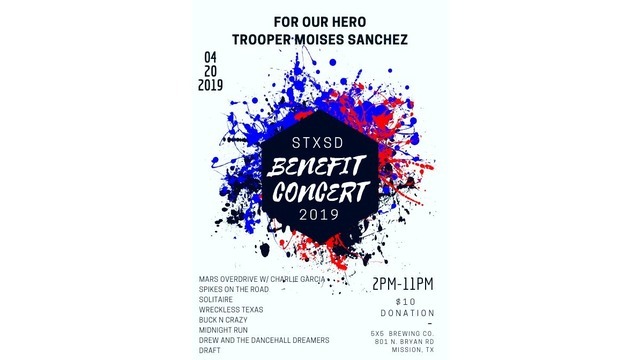 MISSION, Texas - The City of Mission, along with the South Texas Sheepdogs, and several other local sponsors will host a music festival benefiting Texas DPS Trooper Moises Sanchez who was shot in the line of duty. There will be a stellar lineup of bands, food trucks, adult beverages, charity auctions and even a World War II airplane flyover. The event is free and open to the community. There will be a suggested $10 donation box at the door. 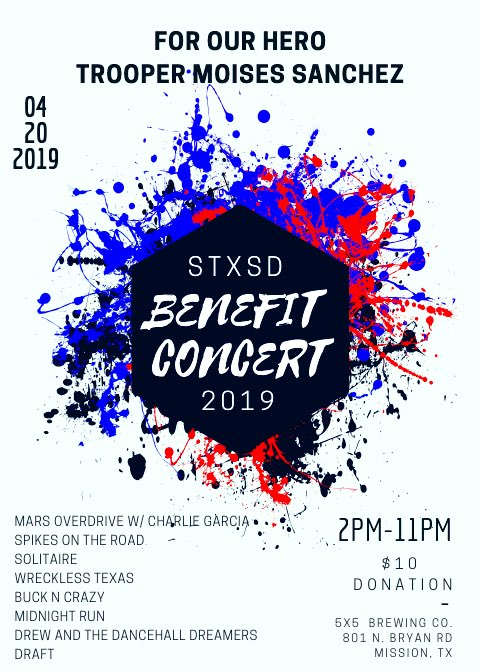 Proceeds from the concessions, food trucks, drinks and auctions will go directly to Trooper Sanchez and his family. The outpouring of support for Trooper Sanchez has been overwhelming in the Rio Grande Valley. Thousands are expected to show up Saturday April 20 from 2:00 p.m. - 11:00 p.m. at the 5x5 Brewing Company at 801 Bryan Road in Mission to continue that support.